After a long trip to Japan last year on September 2013, I have been staying at home ever since. 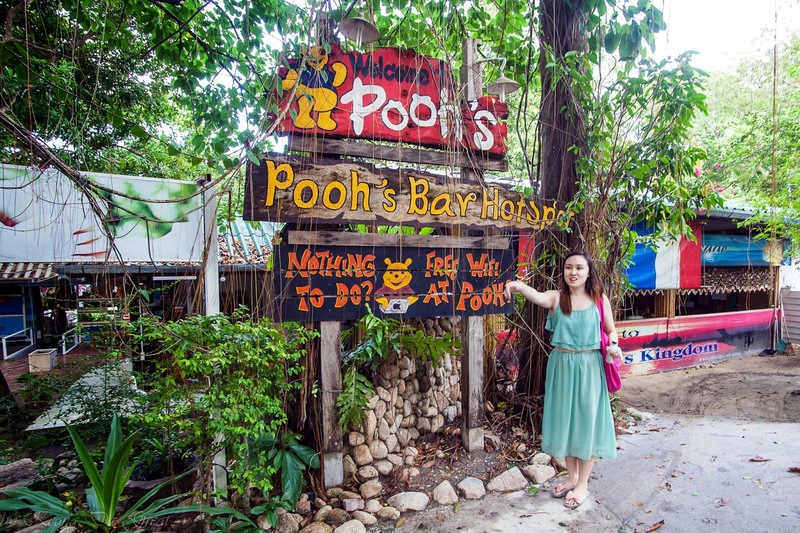 Then hubby decided to bring me to Koh Lipe, the Maldives of Thailand (a.k.a. Dog Island...I'll explain later) on May this year! I was so stoked. Bikini set from Summer Affaire and aviator shades from Phatculture. Of relaxing in the summer sun, just letting off steam. Oh, the sky will be blue, and you guys will be there too. When I finally do what frozen things do in summer! Click on HD and Enjoy! Post by Alicia Boey Shereen. Our trip was a "couples trip" because there were 3 couples including hubby and I. I love traveling in small groups as it is easier to manage. 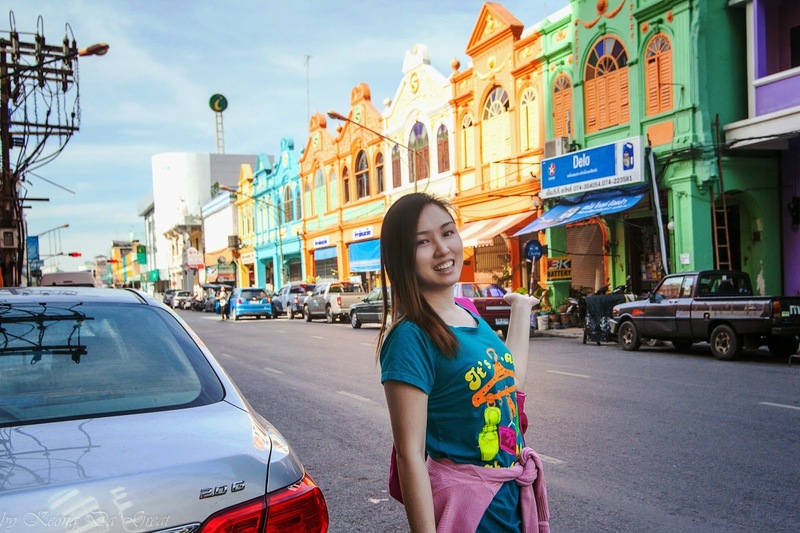 Solo traveling is a trend now and I hope I have the guts to do that before I grow old. In my opinion, the worst way to travel is in a very large group. How many of you agree? 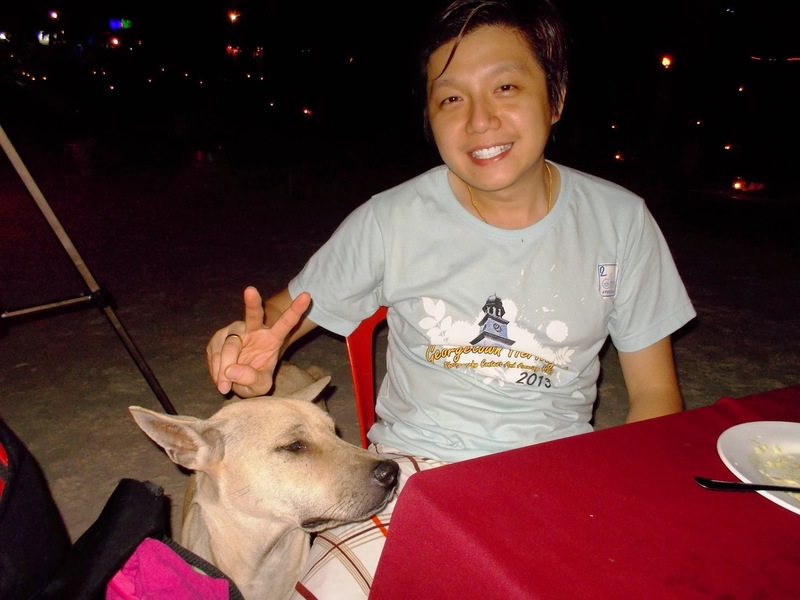 Anyway, our trip to Koh Lipe was from 16 - 18 May 2014. Total damage would be around RM800 per person including accommodation, transport and food. Cheap right? We begin our trip at 6am with our van from a tour agency fetching at our friend's residential. 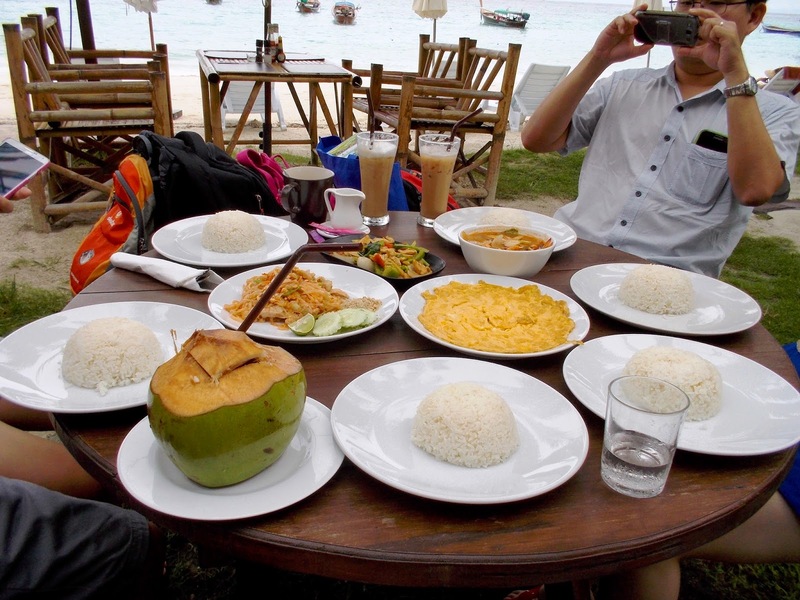 I could not give many details on the booking because like Redang trip, it was organized by our friends. We began our journey from Penang up to Changlun for breakfast. Oh how I miss that area because I studied at a local university nearby... also quite controversial university in Malaysia...macam-macam pun happen. Around 8:30am or so we arrived at immigration checkpoint. 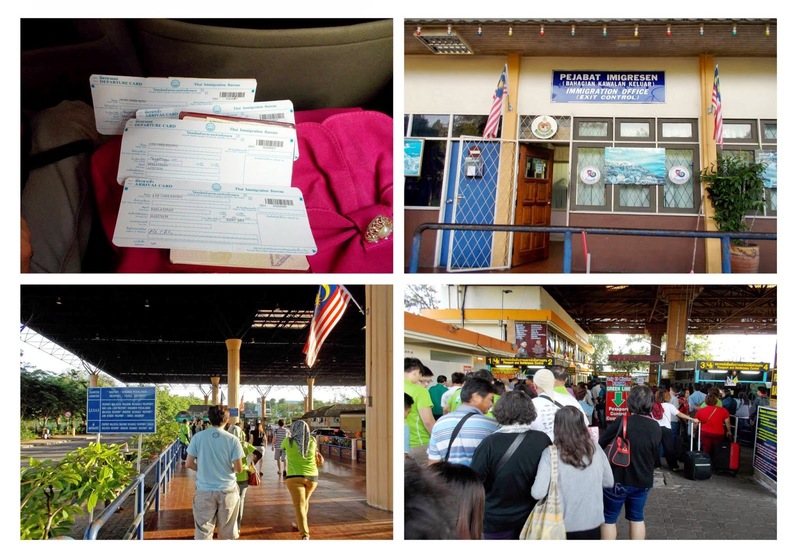 There are total of 3 checkpoints; 1st is a military checkpoint where you don't have to get out from your vehicle, 2nd is to chop your passport to get out of Malaysia and 3rd is to chop again to enter Thailand. After that we rode for another 2 hours to Hatyai. 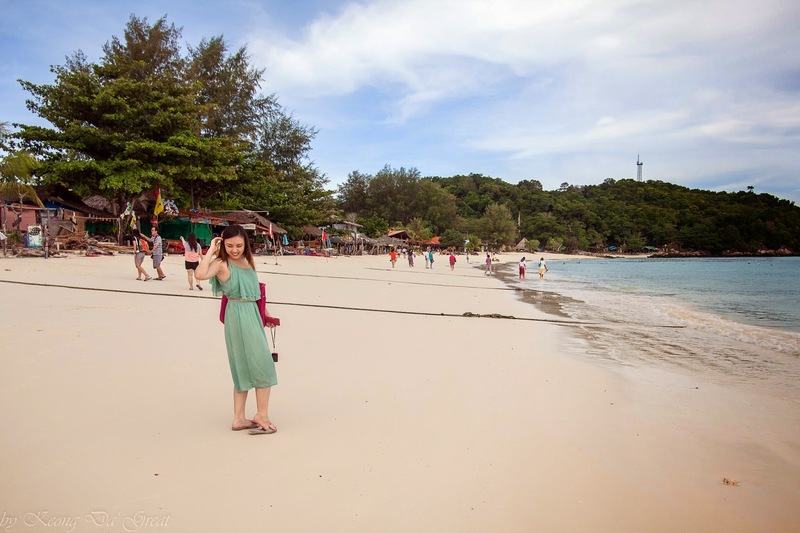 If you would like a shorter way and skip shopping in Hatyai I would suggest you to take a ferry from Langkawi directly to Koh Lipe because the island is just right above Langkawi. I couldn't see any tourist around other than us maybe because it's too early (9am?) or because it was quite a critical moment in Thailand at that time. Due to political instability and upcoming election there has been bombings before and after our trip. Scary!!! If I can recall, martial law and curfew was implemented 1 day after we came back. We went into a transport agency to wait for another van to take us to Pak Bara Jetty. The van was very pretty. 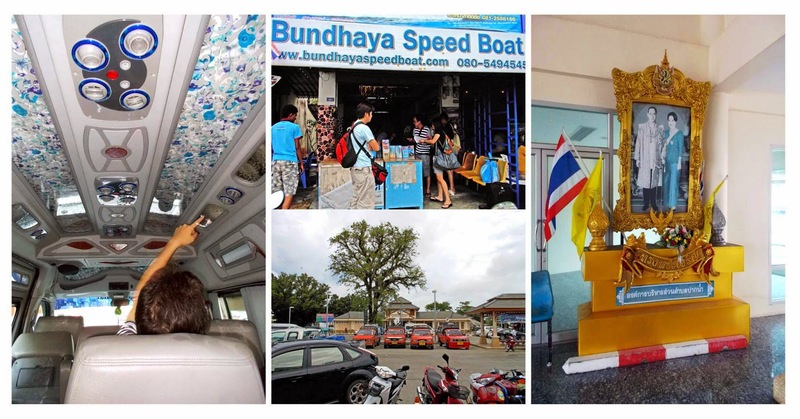 From Pak Bara to Koh Lipe, we took Bundhaya Speed Boat. I am not gonna lie but this is the worst speedboat ride I have ever experienced. You should look at the video above. Idk if it was the strong waves plus wind or bad captain, we jumped like a frog throughout the whole 1.5hours. Many passengers puked on the boat. It wasn't that bad at all when we took Bundhaya also back to mainland from the island on our last day and in fact all of us slept soundly. The speedboat will not take you directly to the shore because the water was too shallow. You will get off at a floating pier and take a longtail boat to the beach. You have to pay about 20-50baht for the 2 minute ride. One very happy girl here. We arrived at Sunrise Beach around lunchtime. A truck came to fetch us to the other side of the island. 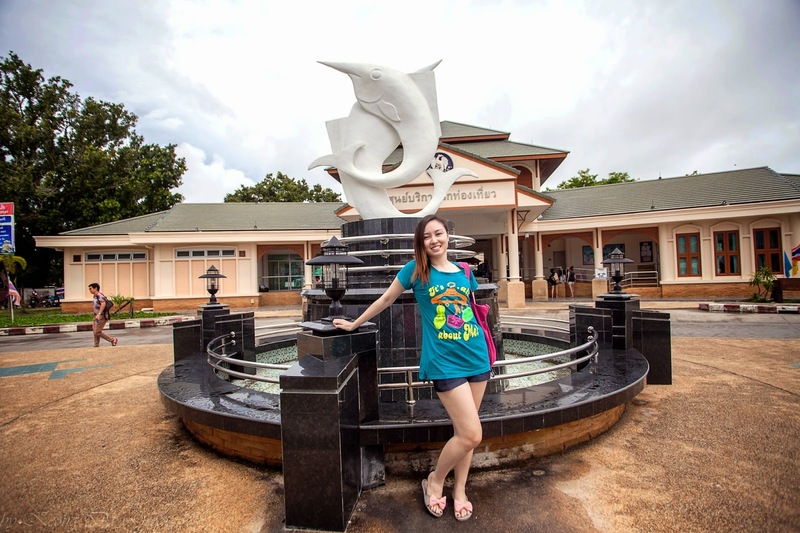 Mali Resort is located at Pattaya Beach which I feel is the cleanest and nearest to Walking Street. We were greeted with a welcome drink. While waiting for our room to be ready, we ordered lunch. Damn hungry! We were then escorted to our chalets and given a briefing about the facilities. 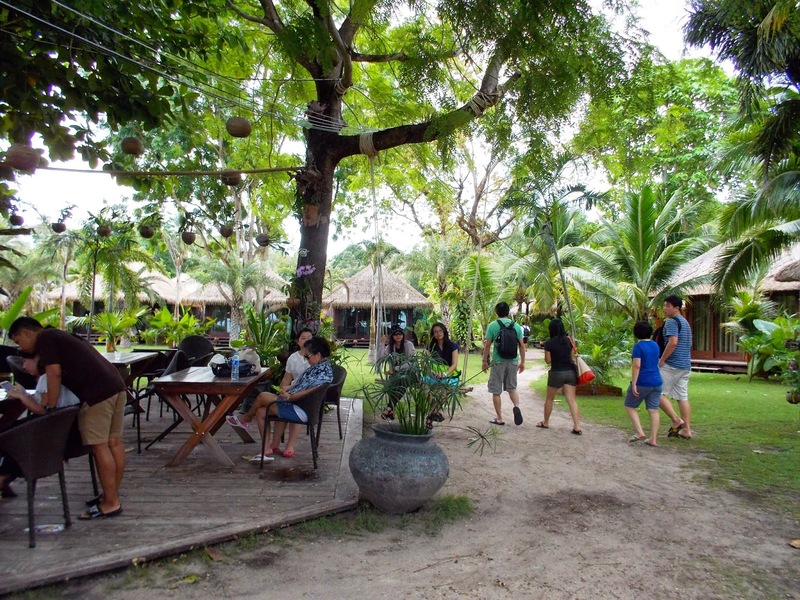 I highly recommend Mali Resort to those who intend to visit Koh Lipe. 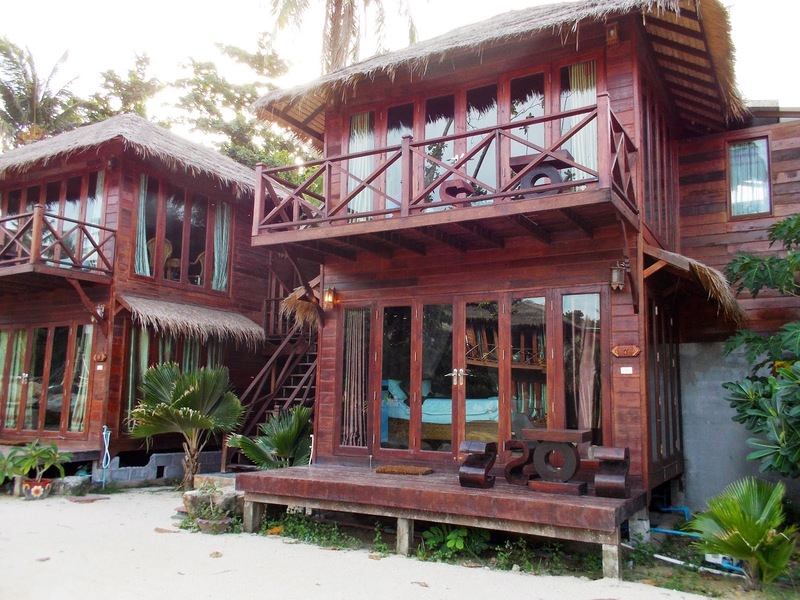 Their bungalows are to die for. We stayed at Balinese Luxury Tropical Villas on our 1st and 2nd night and Beachfront Garden wing on our last night. Mali Resort only provides breakfast hence the rest of the meals are at your own expense. 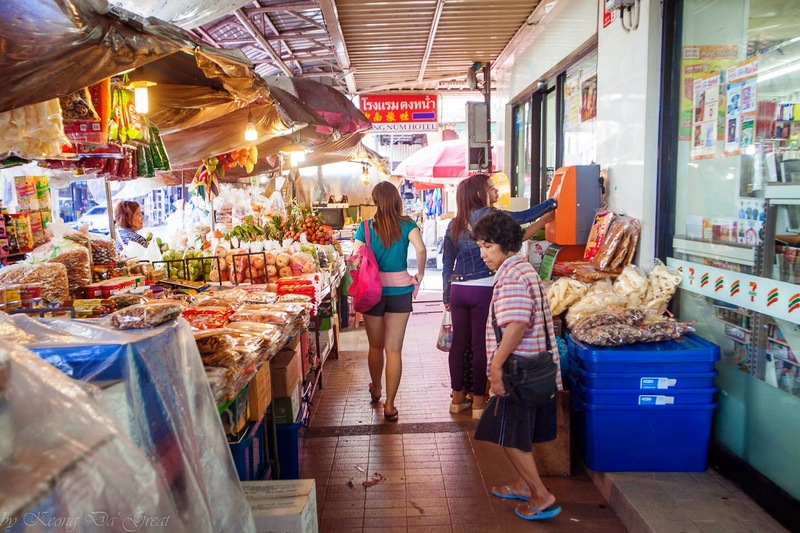 You might wanna check out endless food outlets at Walking Street. 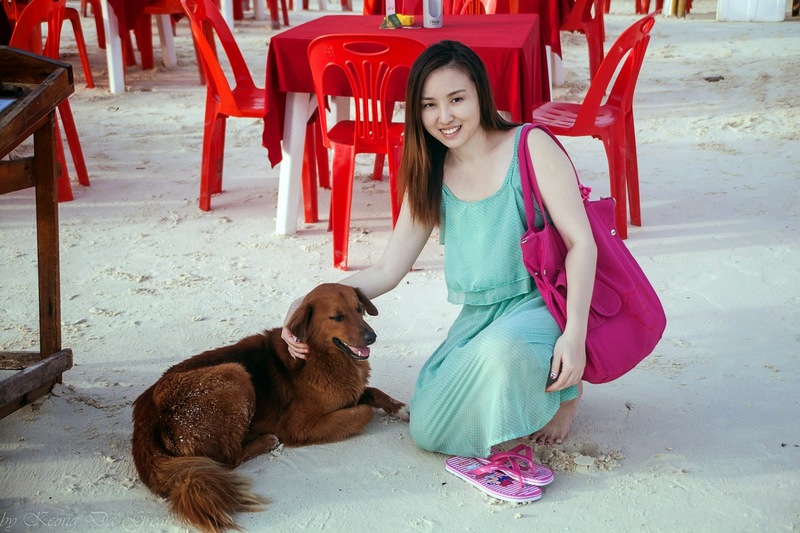 The resort also provides 2 types of packages for island hopping. Click here for details. 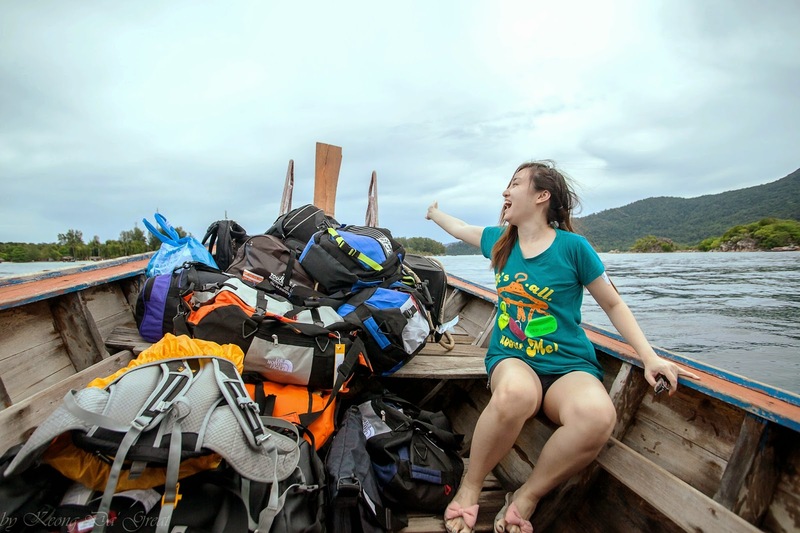 Neighboring Islands package costs ฿1500 per boat while Far Islands package costs ฿2000 per boat. Totally adore the high atap ceilings of the chalet but a bit uncomfortable with open air washroom especially if it rains. Plenty of hammock at the garden for you to relax. Z Touch Resort is just beside Mali which is equally nice. Beautiful Pattaya Beach. 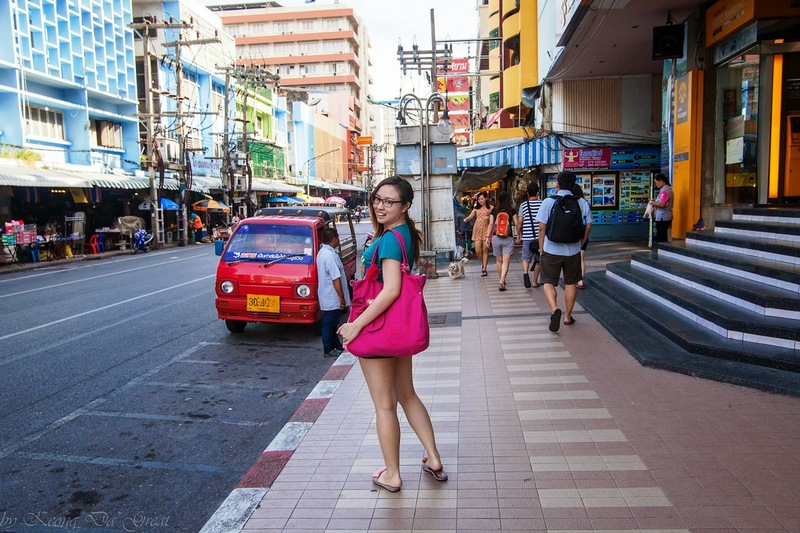 Now let's explore the Walking Street. Welcome to Walking Street. Most shops will open 7pm onwards so it was kinda quiet. Don't miss the famous Thai Lady Pancake. There were more than 5 stalls selling this. It's like roti canai to us Malaysians. We walked up to the other end connecting to Sunrise Beach and saw this pretty hut decorated with shells. Next, we came to Sunrise Beach where we landed earlier in the afternoon. At The Cove luxury resort. Anda Resort is next to The Cove. It is considerably as beautiful as our resort but needs more grass. Now you see why I call this Dog Island. Population of dogs here is almost equal to the tourists here. But don't worry the dogs are very friendly and they won't come near you unless you approach them. I have made some furry friends who were very loyal that they slept outside our chalet. Really miss them. We walked back to Pattaya Beach to rest and play with the crystal clear water. Not everyday you get to selfie in paradise. Our resort provides dinner on own expense but we had dinner somewhere else. We had breakfast here on our 3rd and 4th day. 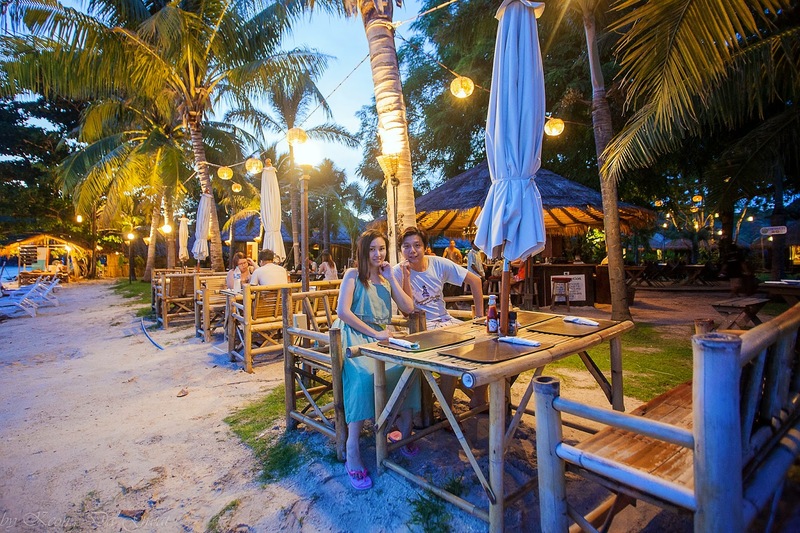 We randomly had dinner at Lion BBQ Restaurant because it looks very romantic to have candlelight dinner on the beach. However I wouldn't recommend because long waiting time and not worth the price even though tasty. Extra bowl of rice could cost you RM15 and the reason they gave for unable to provide WiFi is because of the wind. Like seriously? Mali Resort has WiFi and also strong winds. If they don't have WiFi they shouldn't display "Free WiFi" so huge on the menu. We were entertained by fire performance from next door bistro. Hubby and his friend who was begging for food and kept coming because we fed it. It was a long day so goodnight and check out Day 2 for more photos on island hopping. 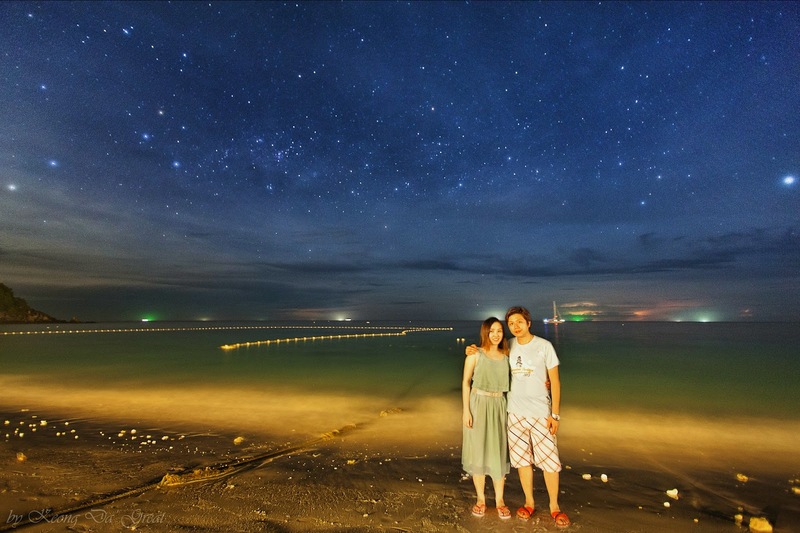 And about how to capture nice milky way photos you can find all guide and tips at Keong Da' Great Journey, he is like the master of milky way in Penang. Hi Jose, thanks for dropping by! Hope you get to experience paradise for yourself. Have a nice day! Hi, truly admitted it was a fun trip. I am planning to go Koh Lipeh this year. Can you please advise the contact information of the tour agency that arranged these for you? Yes please. Thank you so much. Such a great person. was impressed by the last pic, is it with filter or koh lipe are just as beautiful as it shown? Thank you very much for visiting this page and hope my blog helps you as much as possible. 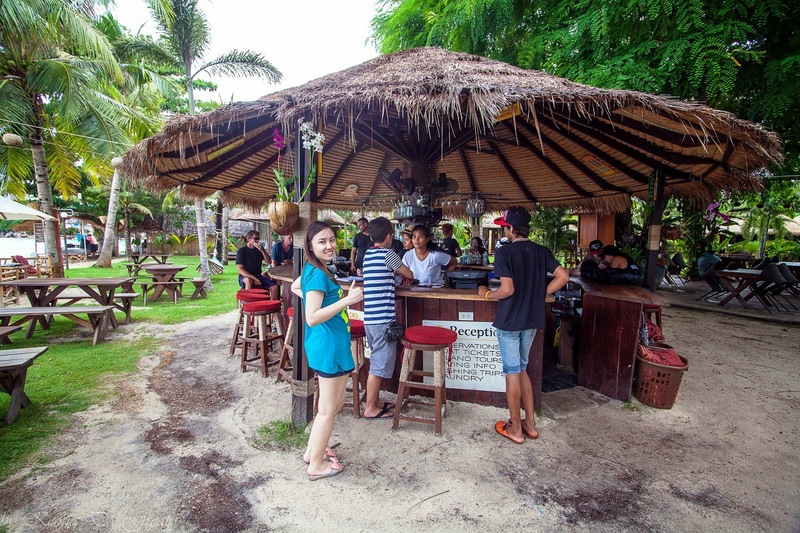 Enjoy and have fun at Koh Lipe! 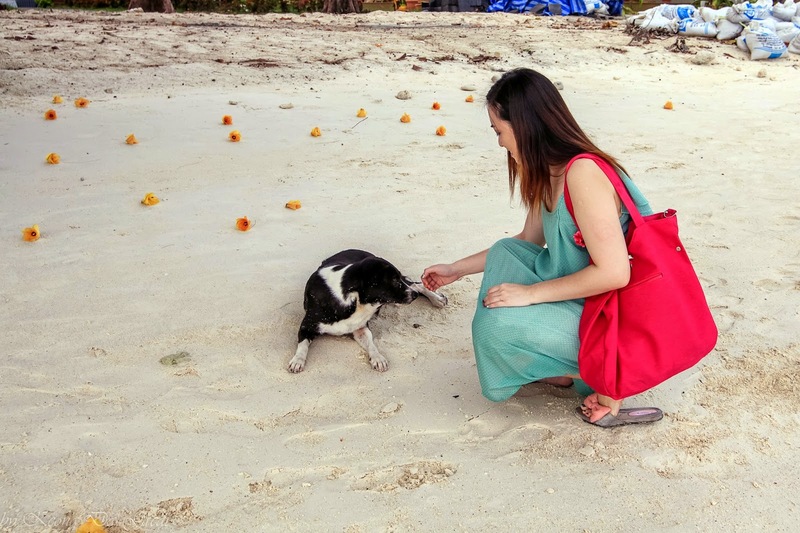 Koh Lipe definitely is dog island, but a beautiful dog island! 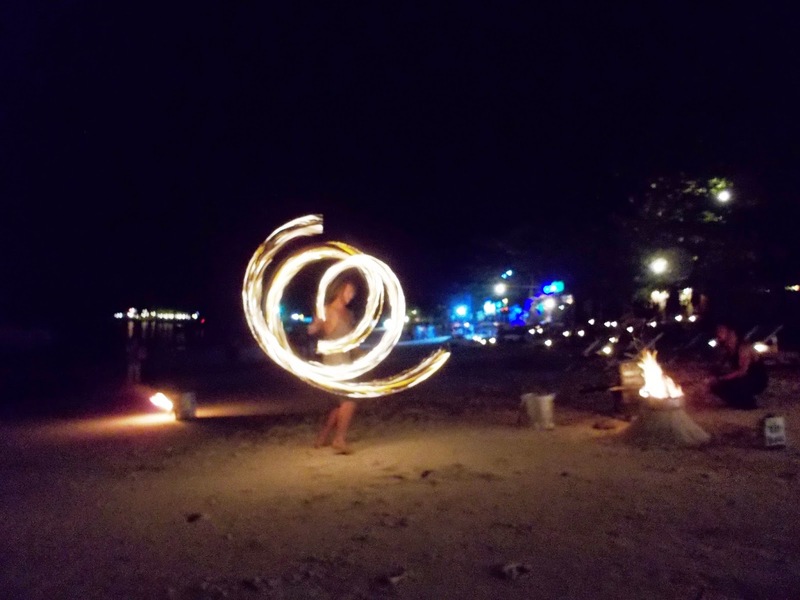 Great review of Koh Lipe, I just went there myself. 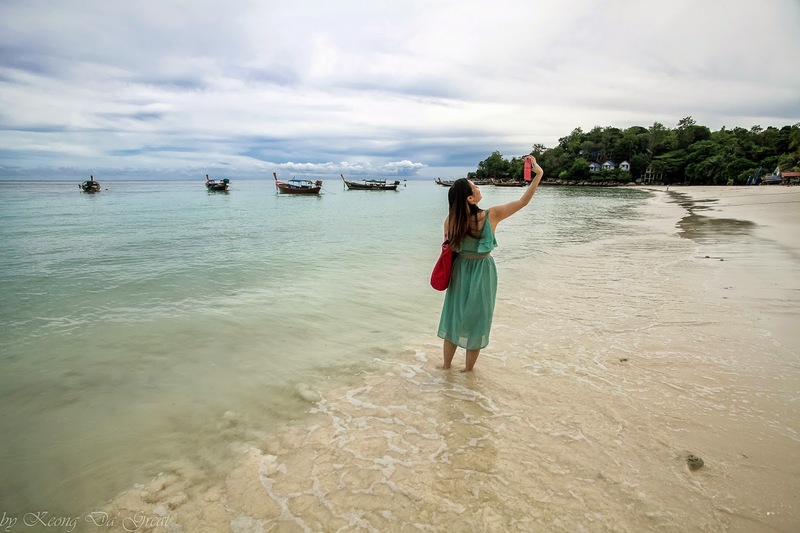 Anyone who wants to go a bit more adventure style in Koh Lipe and surrounds please check out my post Explore Koh Lipe in the Thai Andaman Sea and happy travels! 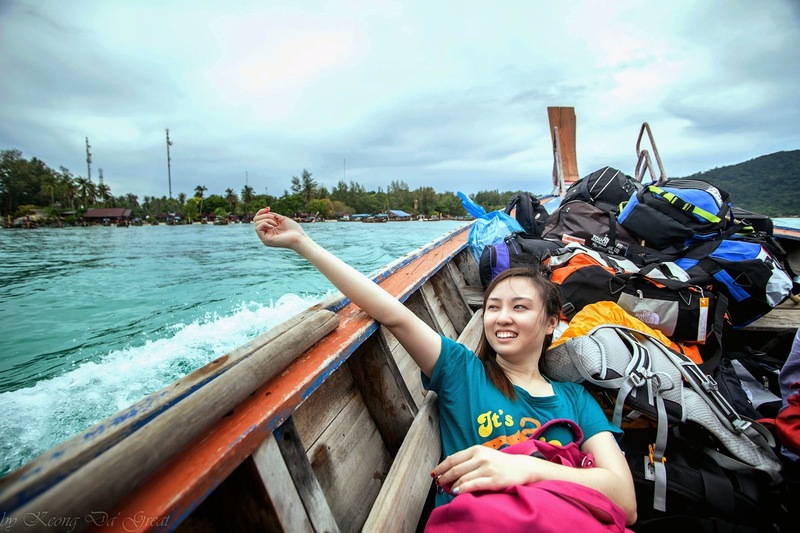 Glad you enjoyed Koh Lipe. You can check out my Day 2 and 3 as well. 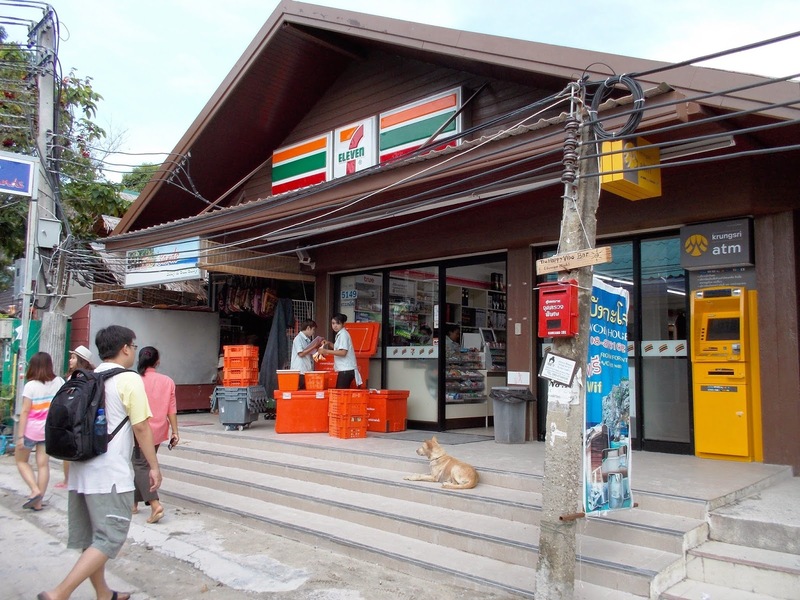 From pattaya to sunrise beach is just about 10 minutes on a slow pace if you ignore the shops surrounding the path along the way. Beside Mali would be Z Touch, Green View and Sita. The island is very tiny so you'll reach anywhere by foot. We just walked blindly too. Enjoy your holiday. 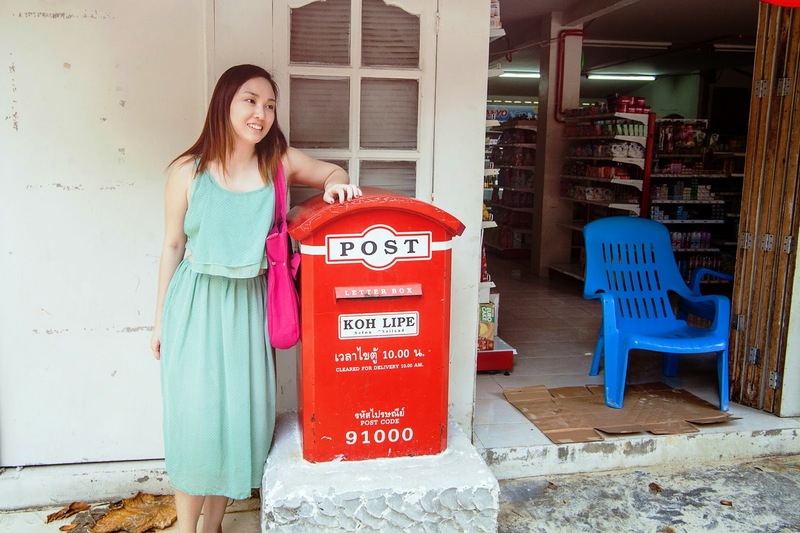 I am planning to bring kids along to Koh Lipe (from Hat Yai). However, some friends said that the speed boat from Pakbara is very bumpy, I wonder if you could advise, shall I go from Langkawi or Pakbara, can kids take the bumpy journey? It's better to bring kids from Langkawi jetty as the distance is shorter. I have seen adults vomit on the boat. Anyway, it all depends on the weather, wind speed and waves. When we used the same route back to Pak Bara it was so calm everyone slept soundly. Have a nice trip! Yes it is very bumpy but maybe not all the time. There were kids below 10 on the same boat as us. Maybe you can bring your children for a very short boat ride first to see how they can tolerate sea sick. Also don't forget to bring motion sickness medicine. Hope you will enjoy this beautiful trip! Wow. mesmerizing. The sky is so beautiful at night. Looking at your last picture. 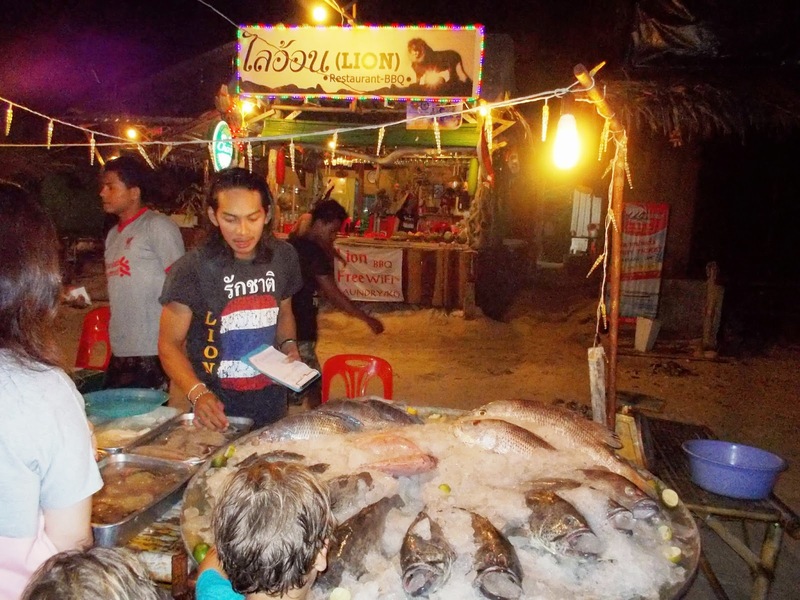 Is Pattaya near to Kohlipe? I am going to Koh Lipe in April. 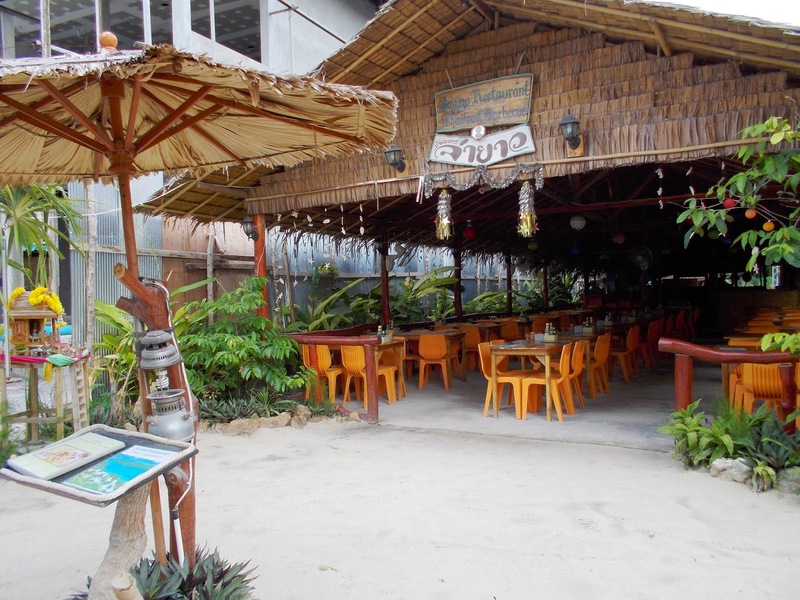 If you are talking about Pattaya town, it is near Bangkok and very faraway from Koh Lipe according to Google Map. 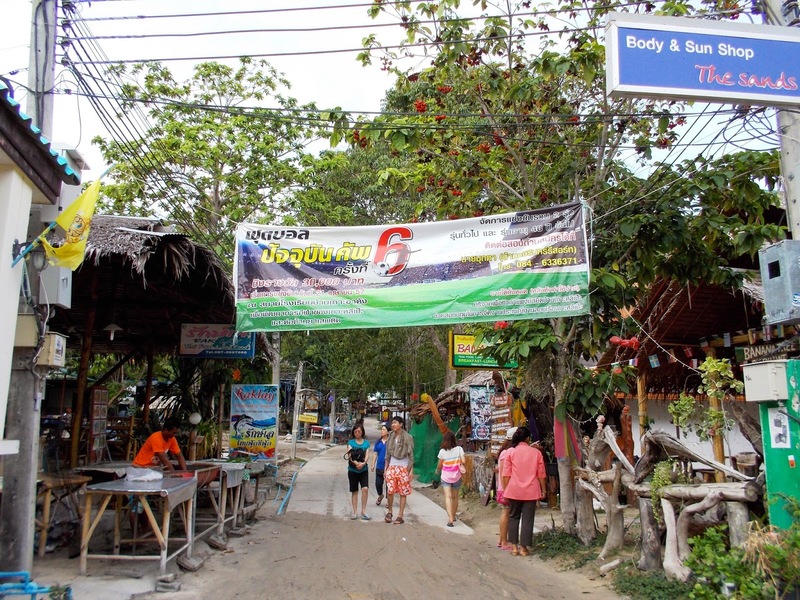 Pattaya is also the name of a beach in Koh Lipe. Japan: What to buy and eat in Japan?